Once you possess the Amazon Echo there are two reactions. 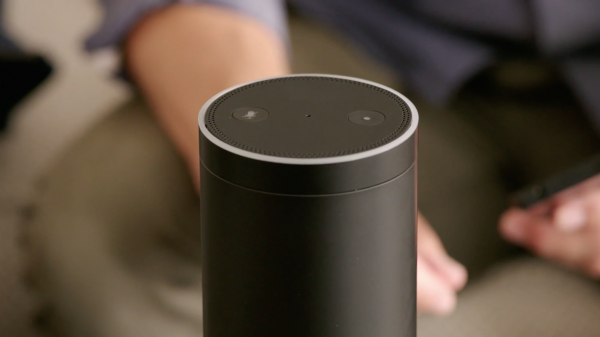 The first is a bit of fear that Amazon is listening to you, but the second is the joy of voice control to answer questions almost instantly, as well as providing news, weather, traffic and more. Do you want more from the device? Who doesn't, right? Well now Amazon is using location information to provide recommendations for all sorts of things. Ask for a good Italian restaurant and you'll get some choices. But there's more than that. Ask Alexa the hours of your pharmacy and you will hear that information as well. In tests the Echo provided nearby Italian restaurants. By simply asking "Alexa, what's a good Italian restaurant near me?" results came. Don't worry if you can't catch the names that quickly, you can pull up the Alexa app to see names, addresses and hours. Results are provided by Yelp. In order to make this work, you'll need to enter your address information into the app settings. Click Menu and then Settings, followed by Device Location (you'll find it under traffic) and Edit. This is the complete address -- house number, street, city, state and zip code (stop worrying, Amazon already has it if you've bought anything -- which you did, if you have the Echo). It's one of a number of nifty features already included, just added or on the way. Like everything, it isn't perfect, my pharmacy hours were not yet available, but the device told me it is learning new businesses in the area. There are many more things we can expect in the near future and some are very cool.